The pagoda is situated on the right side of the way to Myothit quarter and it is half a mile way from the west of the palace site. The minister Na Ra Zall built the pagoda in AD 1471. The pagoda is called Narazall pagoda because it was built by minister Na Ra Zall. Na Ra Zall was a minister who had to choose the suitable time for the king. Thoat Daw Lyar, the son of king Ba Saw Phyu, took the throne of Mraukoo in 1481 when his father passed away. In the fifth year of his accession, monk Shin Maha Ra Hta Tha Ra and monk Shin Tay Zaw Tha Ra from Ava, arrived in Mraukoo. Both of the two monks dwelled for three months of lent in Mahavizayyaranthi monastery king Min Saw Mon donated. One day, they met princess Saw Nan Min Phyu, a daughter of king Thoat Daw Lyar, on the way back to the monastery from the downtown. So, monk Tay Zaw Tha Ra admired the beauty of the princess by writing Ratu which includes three stanzas of the verse. The princess received that Ratu while she was paying reverence to Narazall Buddha image. The princess was named Rakhine Tasaung in that Ratu. 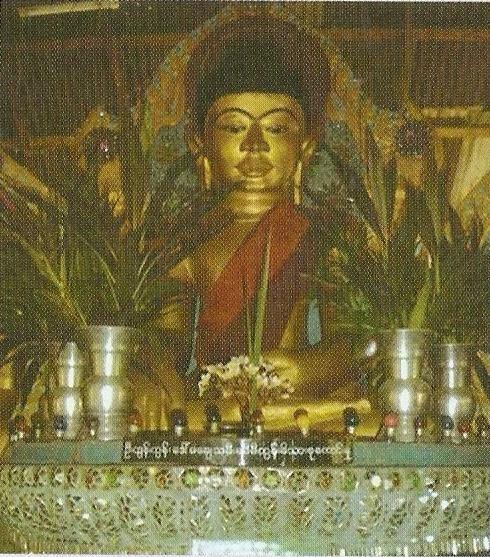 She liked that name, therefore, she also named the Buddha image Rakhine Tasaung. 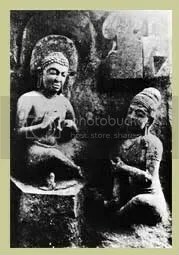 Long Long ago, the Buddha image was in the cave, but the cave had destroyed. Instead, the prayer hall was built. The five feet high Buddha image and two Buddha images next to it, are in the lotus throne. It is necessary to reconstruct the prayer hall because it is destroying. The board of trustee of the pagoda maintains the pagoda.